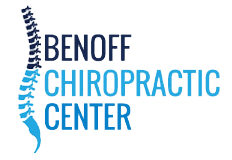 Check out what our patients have to say about Benoff Chiropractic Center! "Dr. Helen and Dr. Ilana are a great team! Competent, caring. extremely nice and full of helpful information!" "Been to many Chiropractors over the last 40 yrs. Dr. Ilana is the best by far." "Amazing is all I can say!!! I've been to other chiropractors and never had an experience like I had today. Everyone was very friendly and welcoming. Dr. Teyf was professional, gentle and knew exactly how to fix my issues, very thorough! Thanks for the great experience, I will never go anywhere else!" "Dr. Ilana is simply the best. She is a special human being too. Caring, helpful and extremely talented." "Dr. Ilana is my hero! She has helped me immensely and I have learned so many helpful things under her care!" "Looking for a chiropractor. Here is the best...Dr. Ilana is awesome..."
"Dr. Ilana is the BEST!!!!"